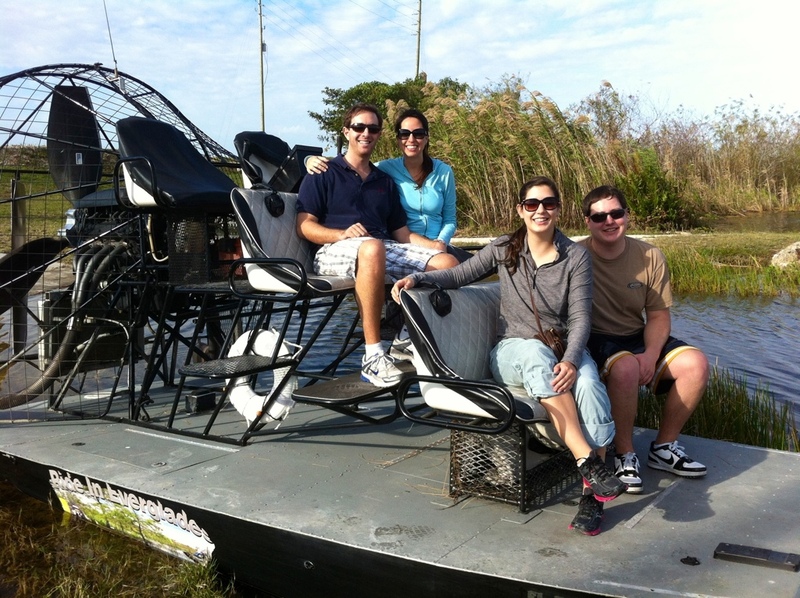 On Sunday morning we all woke up bright and early for our private air boat tour in the Everglades. 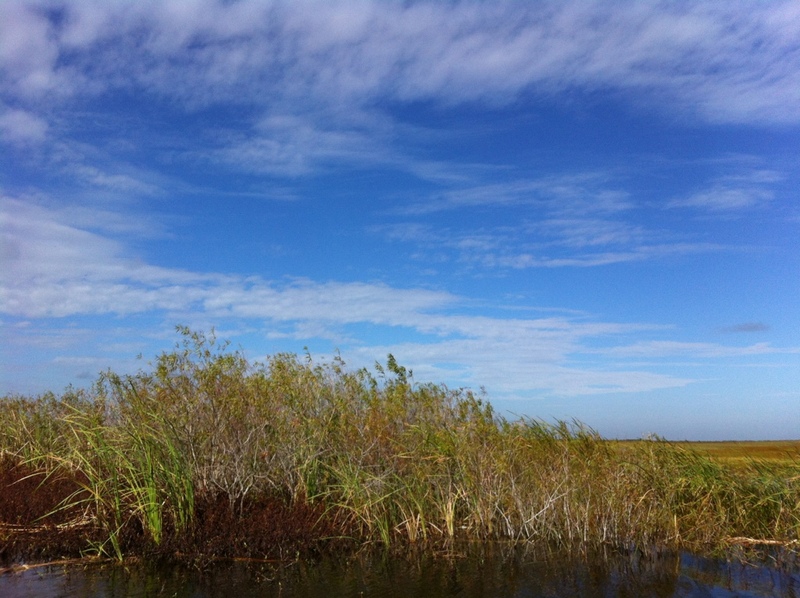 It was surprising how fast the scenery went from urban Miami to desolate marshlands. We really felt like we were out explorin’ in the prairie land. 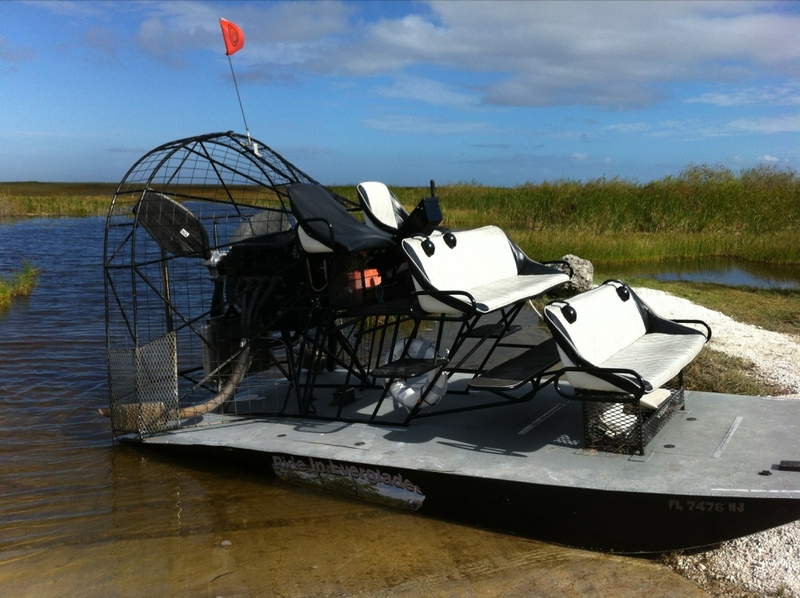 We pulled right up to the water and our air boat was waiting for us, along with our air boat captain, Captain Bill. Though it was a perf day out, it was pretty chilly on the water. Tuna’s sis and I were glad we brought our jackets. Then we were off on our hour long adventure! 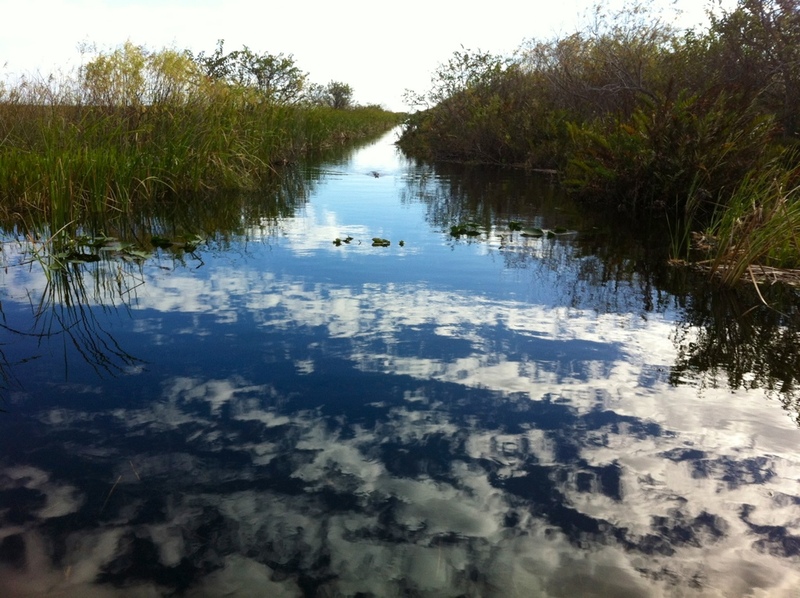 The Everglades (apparently a Native American word for “river of grass”) are gorgeous. The dry plants and sea grass make such a beautiful horizon line contrasting against the blue sky. 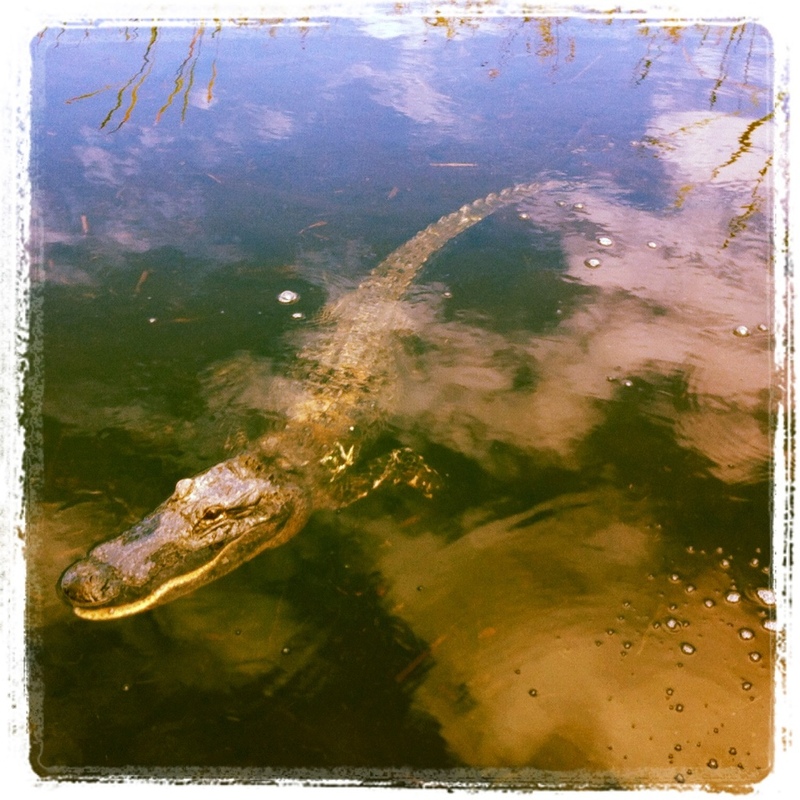 We saw birds, flowers, and my favorite – alligators! 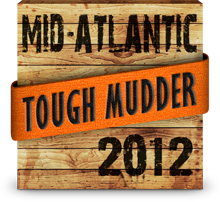 Do you see this guy sneaking toward us? They literally come right up to the boat. Though it’s illegal to feed them, some boats (not ours) still give them stuff to eat, so that’s why they’re trained to come investigate. Eek! They were scary, but actually kinda cute! 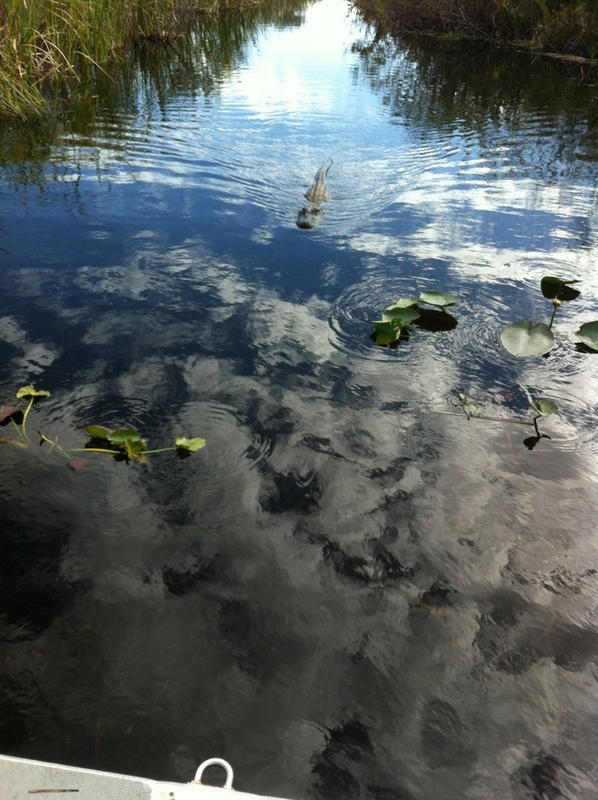 When we got home from our air boat ride, I went on a glorious run around Coral Gables (Tuna’s sis’ neighborhood.) Perhaps I shall move to Miami for the sole purpose of running in perfect weather on FLAT FLAT land. Love. Have you ever seen an alligator in real life? 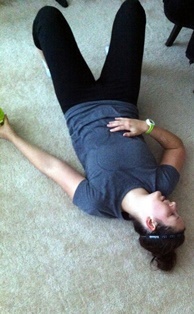 Is it hilly or flat where you live?How does that affect your running?